Worldwide Business Review is looking to commend the truly outstanding small businesses that are trail-blazing, developing, innovating, and growing within their sector. As such we launched the Small Business Elite last year to recognize those that are going above and beyond, but rarely receive the recognition they deserve. Like last year, we recognized 50 firms from around the world, in sectors such as; law, finance, retail, energy, recreation, and construction. All of those listed in this program are automatically entitled to a complimentary digital certificate, simple listing in the magazine (naming Hutaib Infotech Solutions as a winner), and full rights to the above logo and title to use as you wish going forwards. Hutaib Infotech Solutions is an emerging leader in the field of ICT, networking, access control, and surveillance. It has proven capabilities in this niche domain with help of cutting edge services, supplies and solutions. The company’s credibility is strengthened by the various merits and recognition it has garnered over the last few years. It recently added another feather in its cap, when it was conferred a recognition at the prestigious INTERSEC conference in January 2016. The INTERSEC event is by far the biggest security and safety trade fair and exhibition in the world today. It is held in high esteem by industry veterans for its immense popularity and the tremendous networking potential it offers to businesses in this domain. 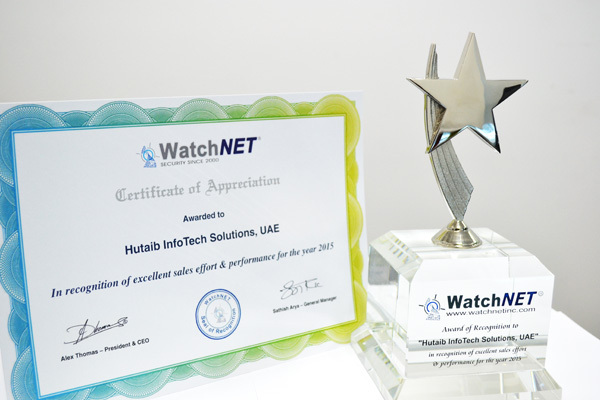 Hutaib InfoTech Solutions was recognized for its exceptional Solutions and Performance delivery for the fiscal year 2015-16 by WatchNET International, a leading Canada based manufacturer/supplier of quality video and surveillance solutions. 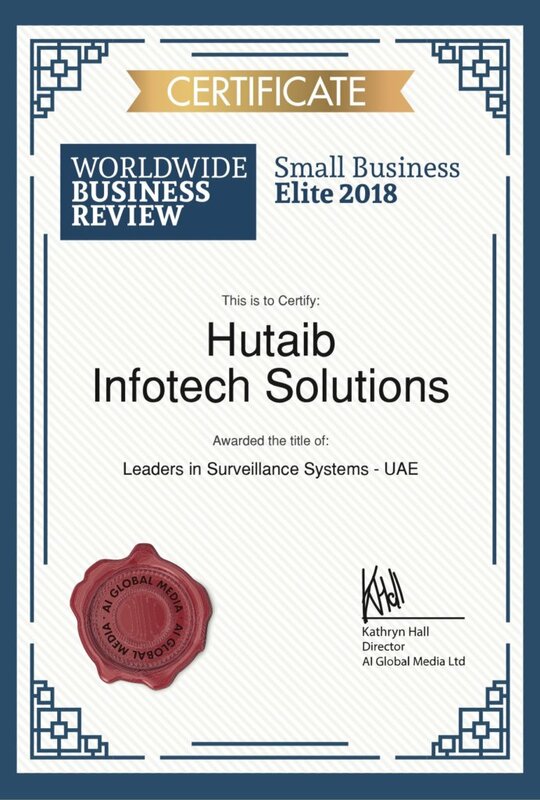 The award signifies the immense value added projects Hutaib InfoTech Solutions has carried out for WatchNET in the field of high quality modern day CCTV Video Surveillance for the entire year. With more than 31000 visitors and more than 1250 exhibitions, the INTERSEC event provides a tremendous brand visibility. By winning the recognition at this exclusive event, it ensures an indelible impression of Hutaib InfoTech Solutions on prospective customers and existing accounts. If you too want to connect with Hutaib InfoTech Solutions for high caliber solutions in Video Surveillance, Access Control, IP Telephony and Wireless Networking, then connect with us here. 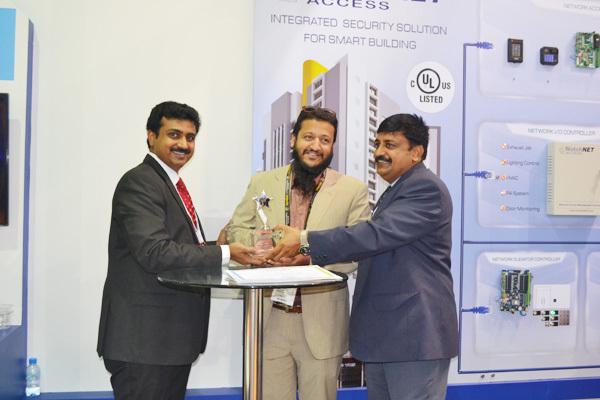 Hutaib InfoTech Solutions was awarded the coveted Performance Award at the prestigious Intersec Trade Fair, Dubai on 18th January 2015. The award was conferred in recognition of Hutaib InfoTech’s stellar efforts in the field of Enterprise Security, Video Surveillance and Information and Communication Technology. The distinction is a significant achievement for Hutaib and its credibility gets a tremendous competitive boost with this award. 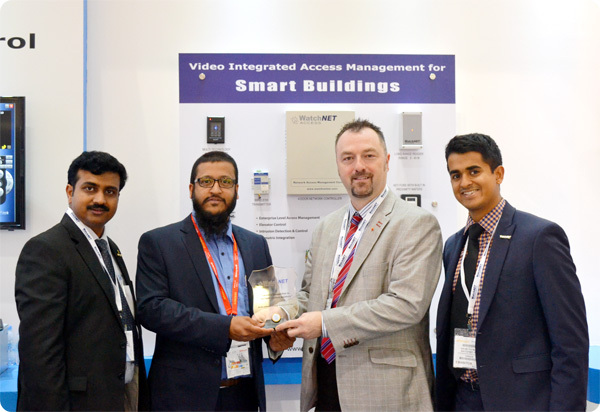 The accolade was awarded to Hutaib for its far-reaching promotion of WatchNET DVR Limited’s video, security and surveillance equipment across UAE. Intersec is the world’s largest trade exhibition and networking event for Security, Safety and Fire Protection services and solutions companies. It recognizes the best in this field and cater to multiple verticals spanning Commercial Security, Information Security, Fire &amp; Rescue, Safety &amp; Health, Homeland Security and Policing.